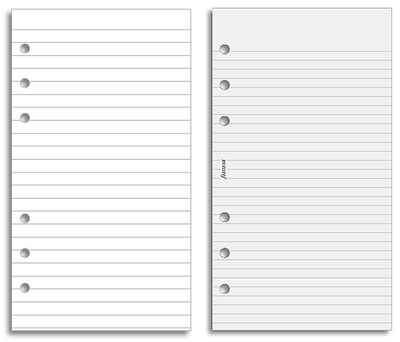 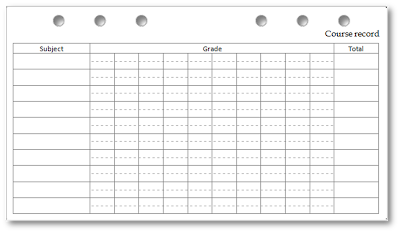 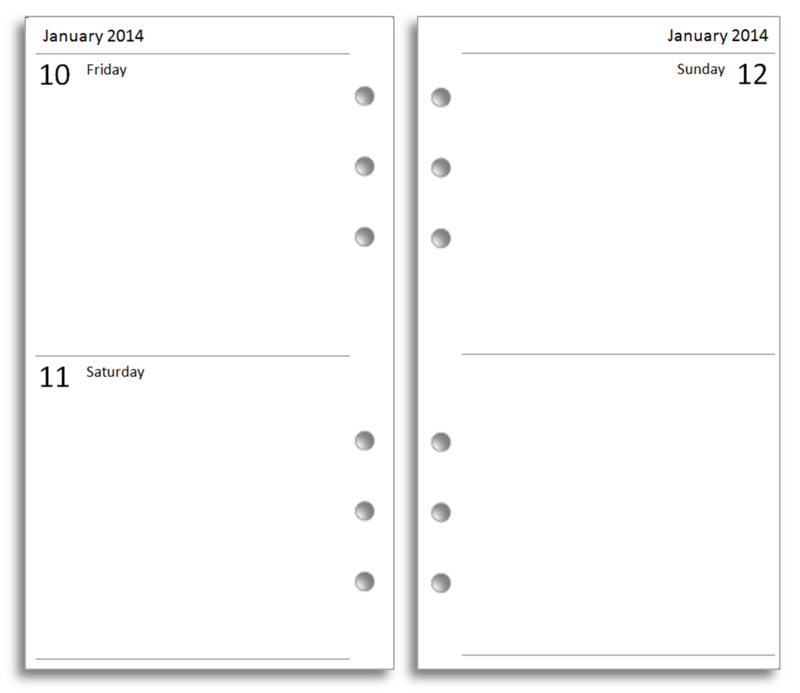 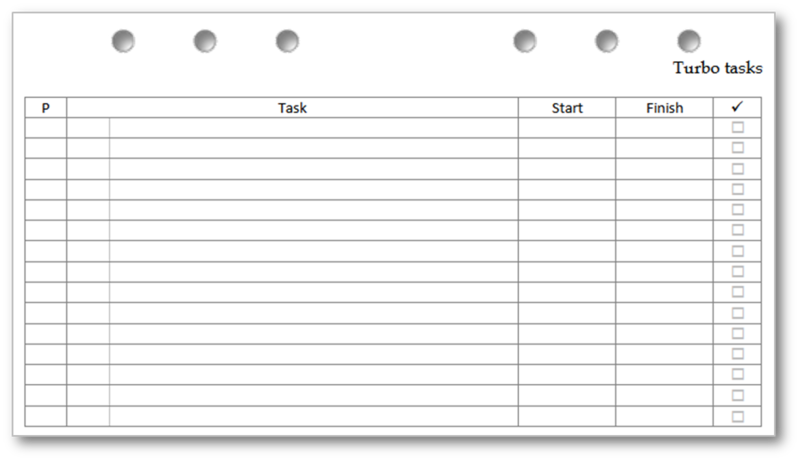 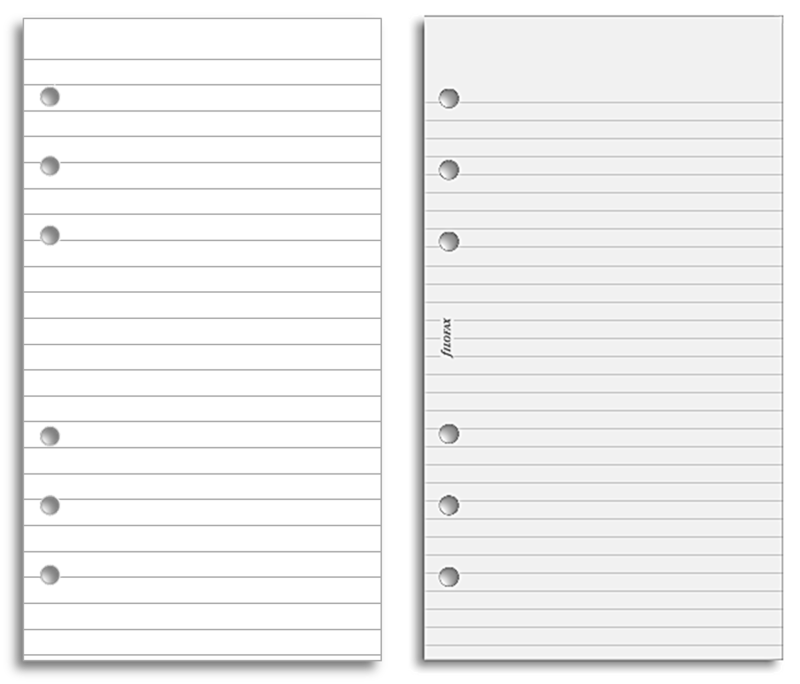 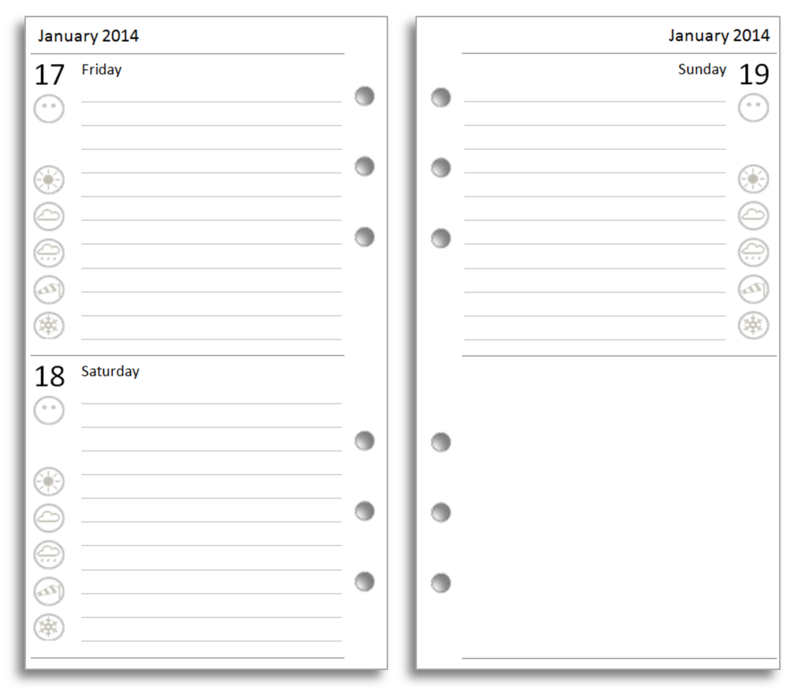 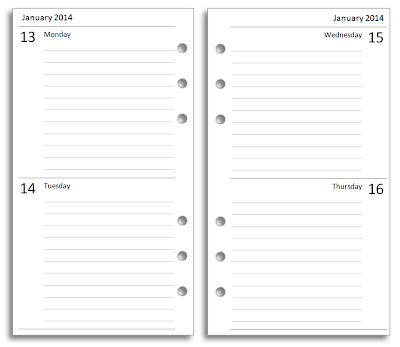 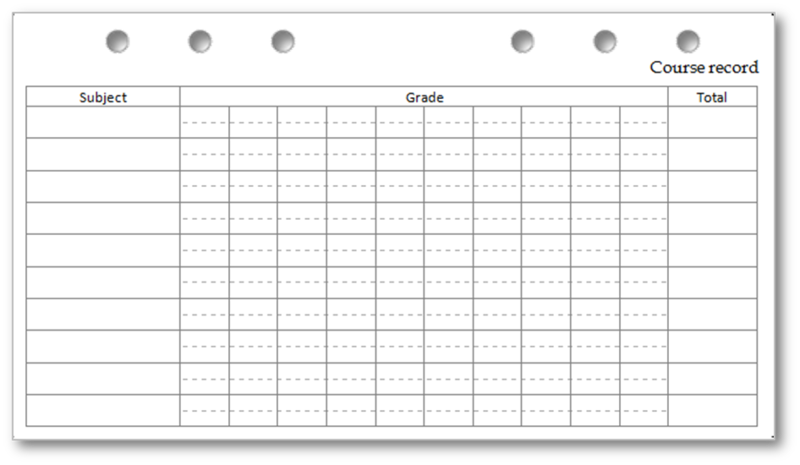 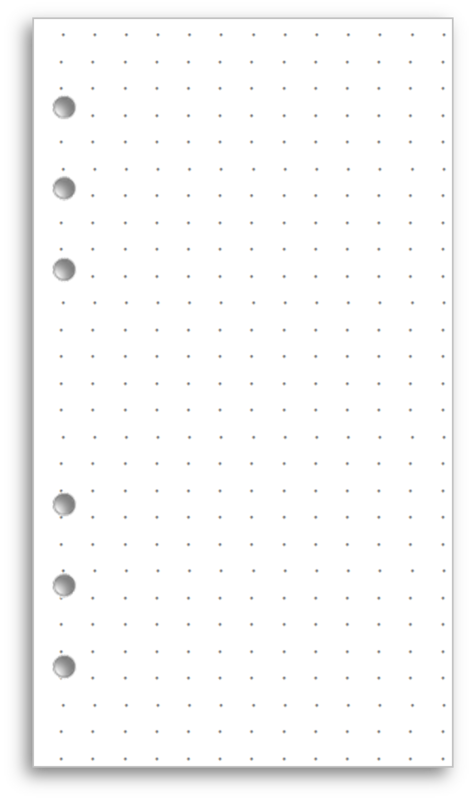 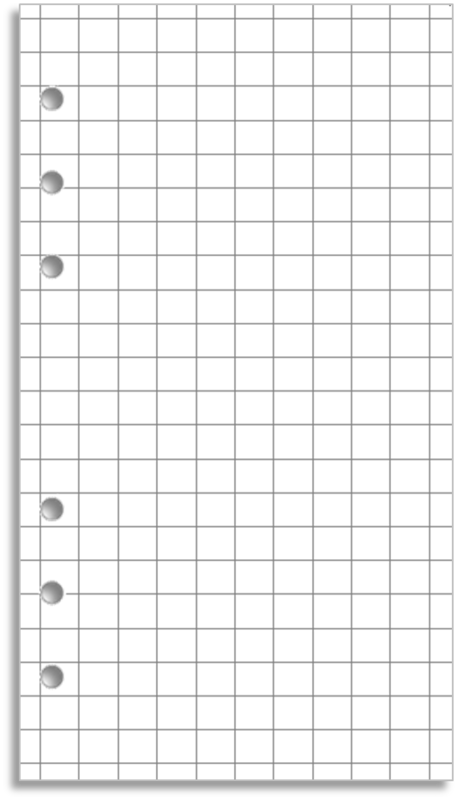 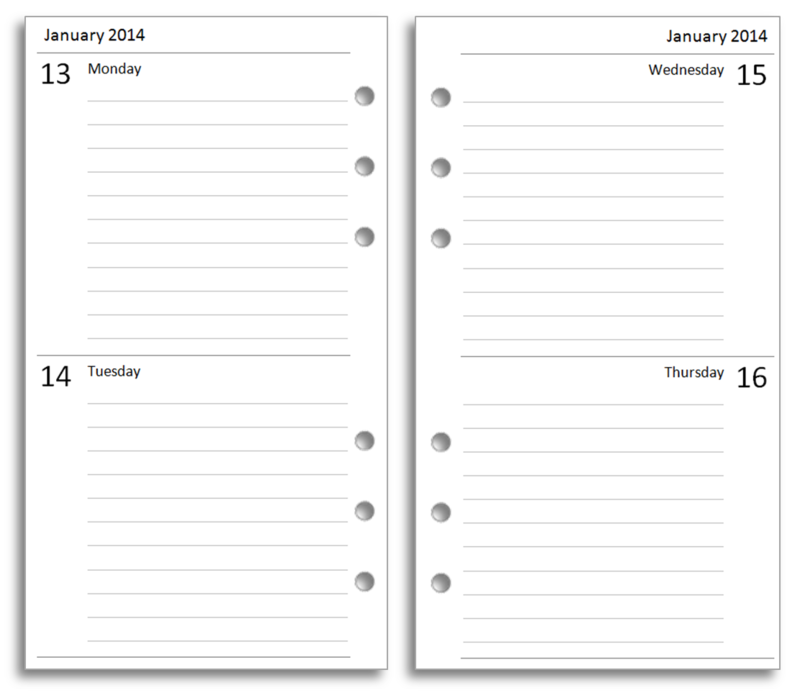 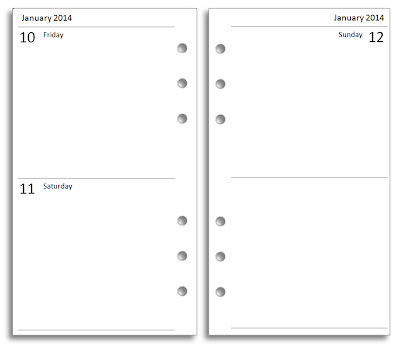 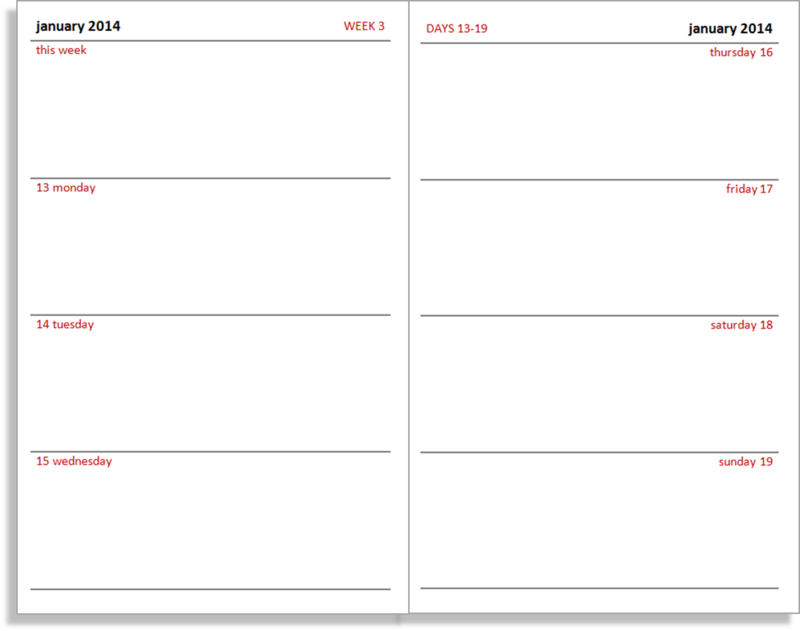 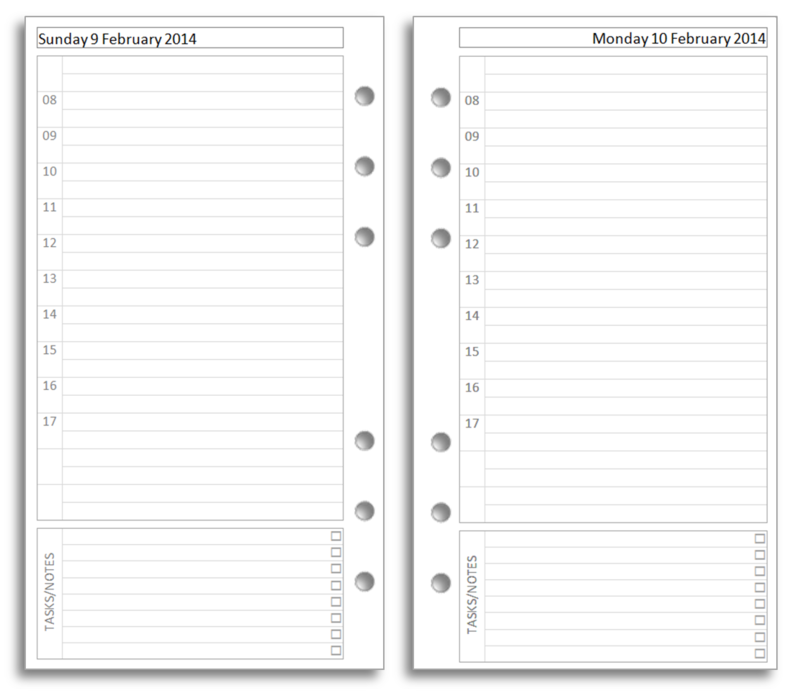 This is the classic layout, featuring appointment times and with space for notes and actions. 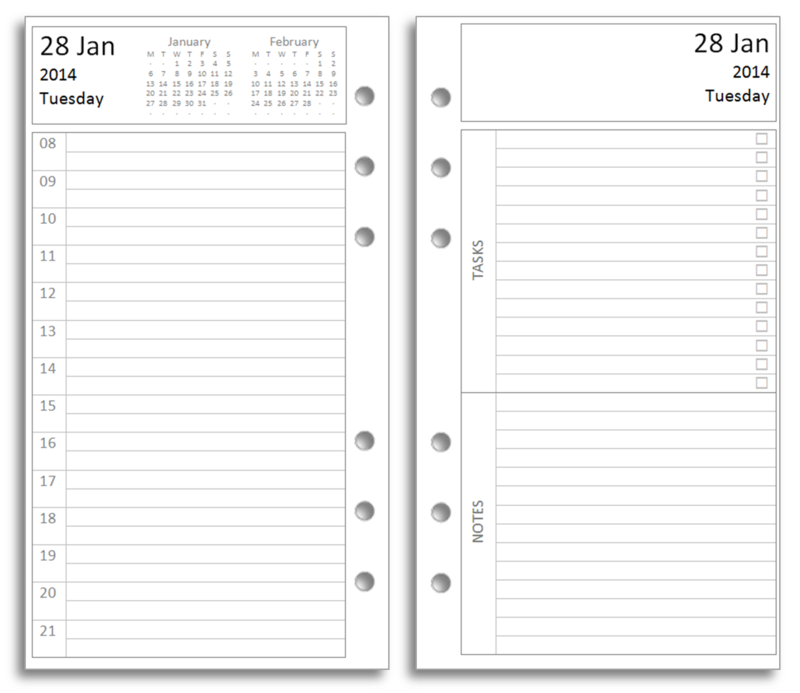 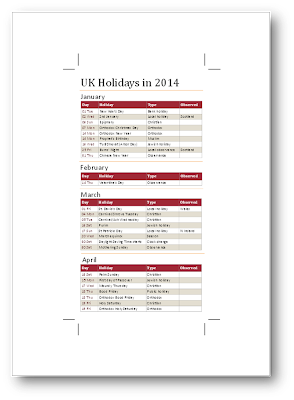 This version has a retro feel, harking back to desk calendars of old. 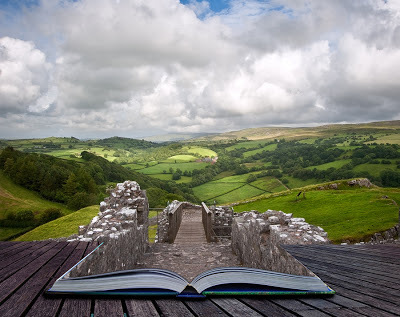 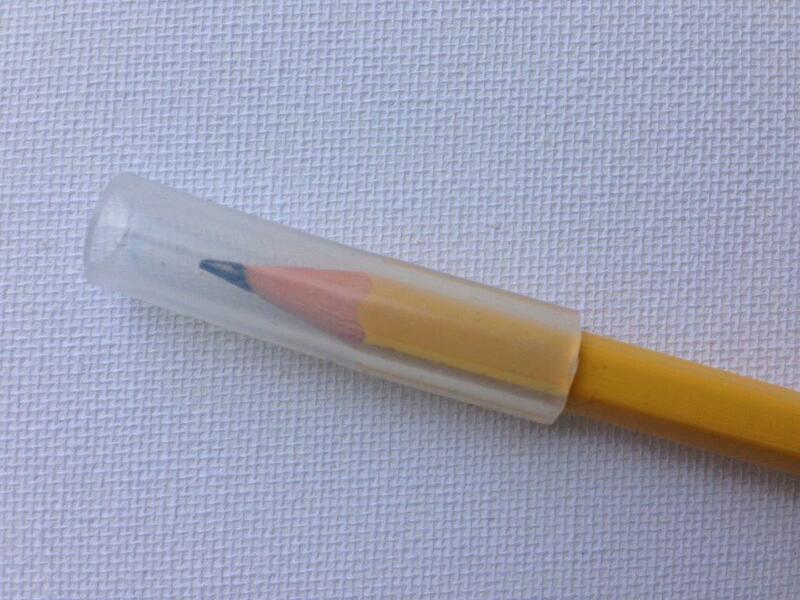 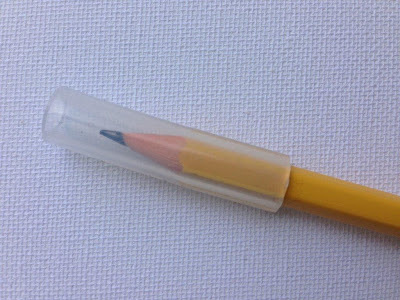 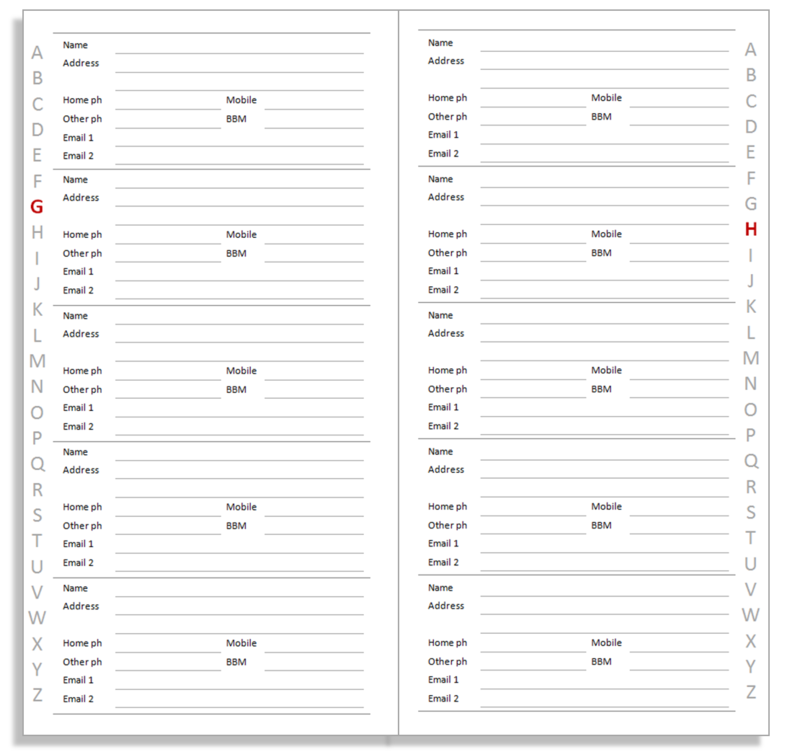 There's no set structure; this is an insert you can use creatively. 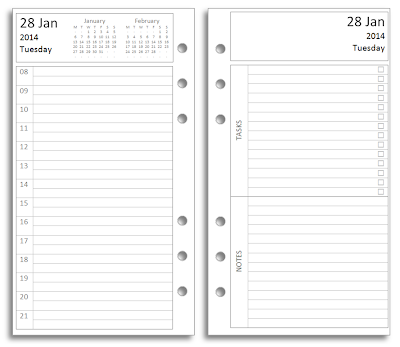 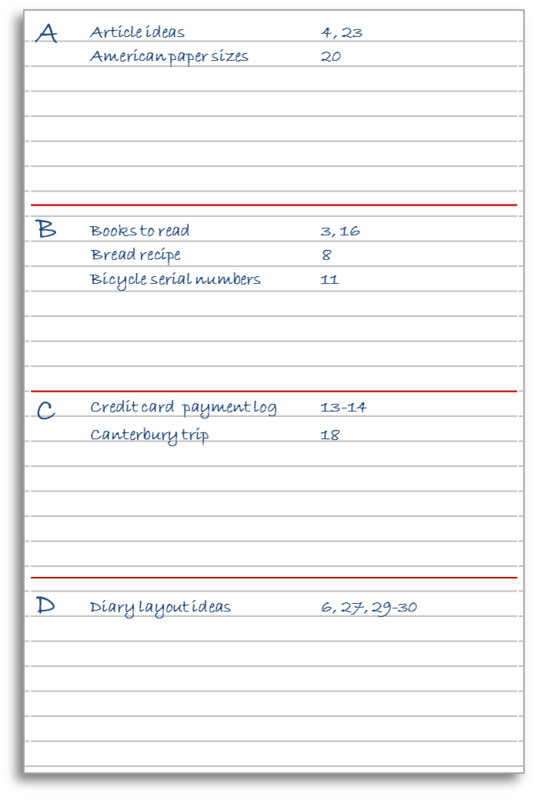 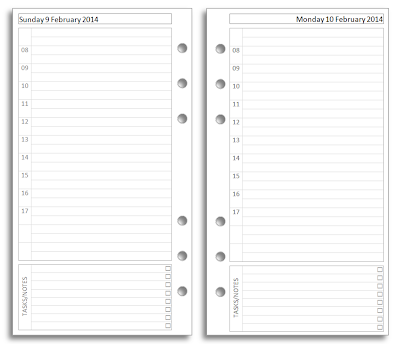 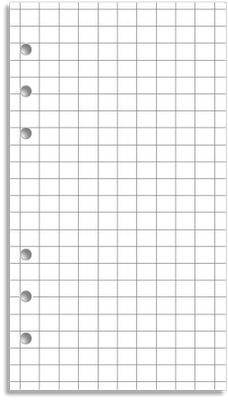 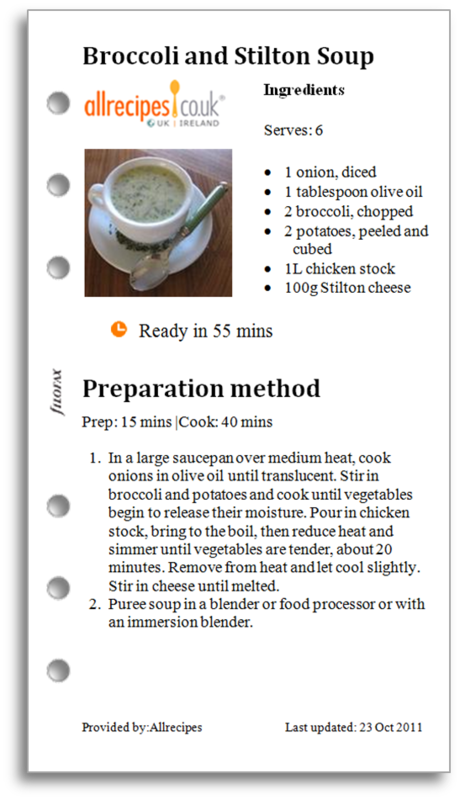 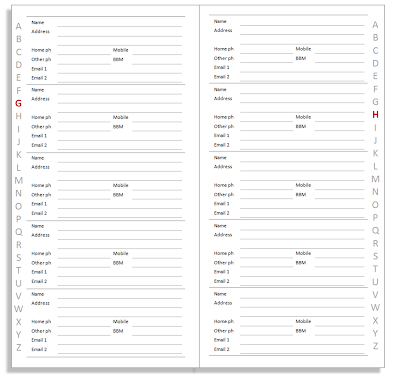 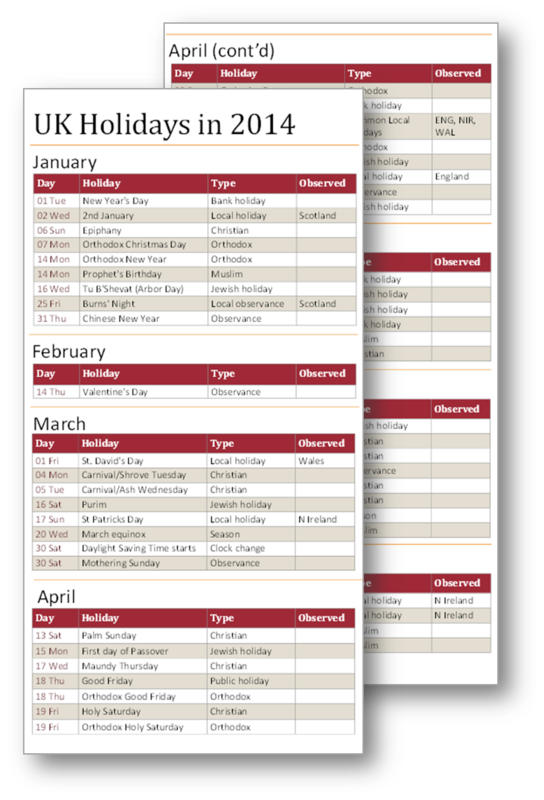 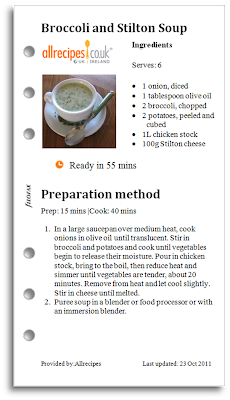 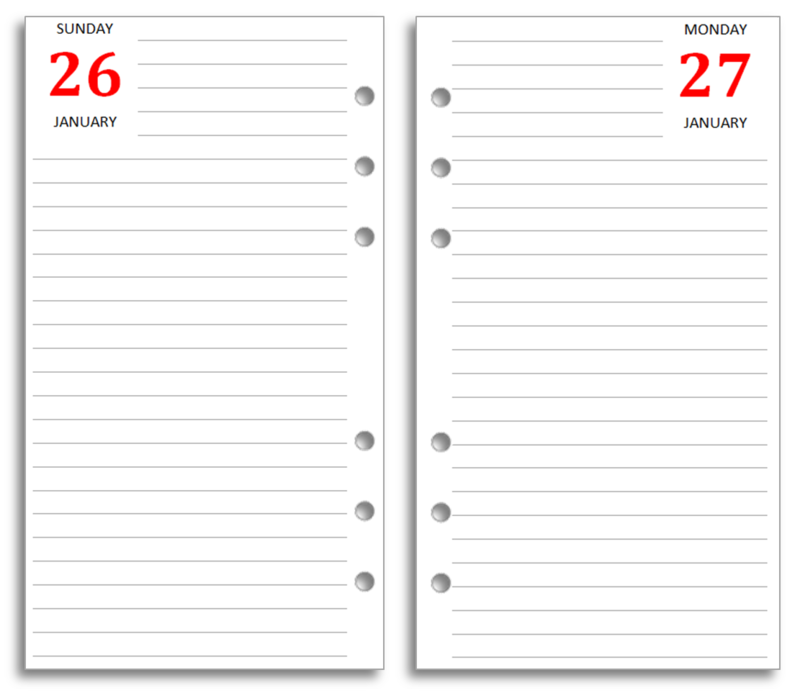 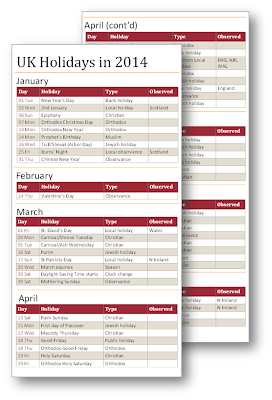 For people whose days require a lot of organising, this layout spreads the day over a full view. 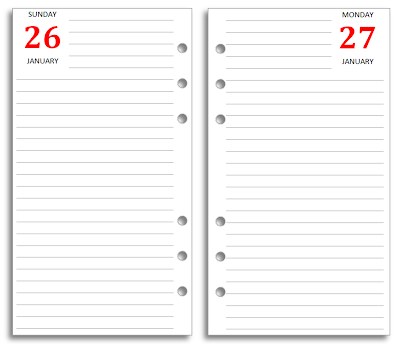 When the standard week on two pages doesn't give you enough room each day, but you don't need a full page each day, this layout is a good compromise. 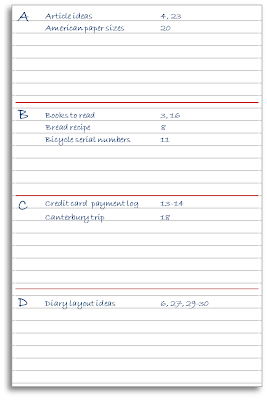 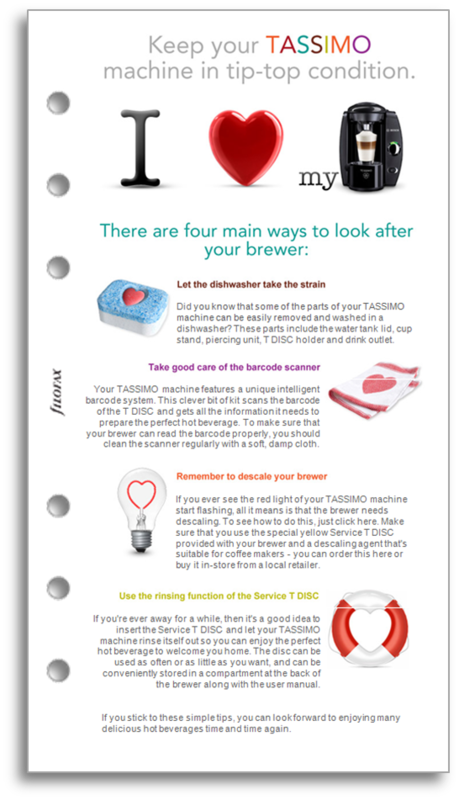 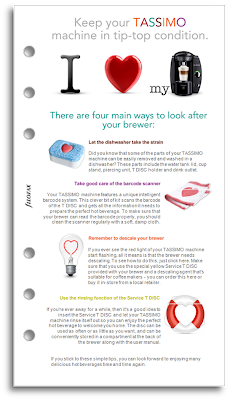 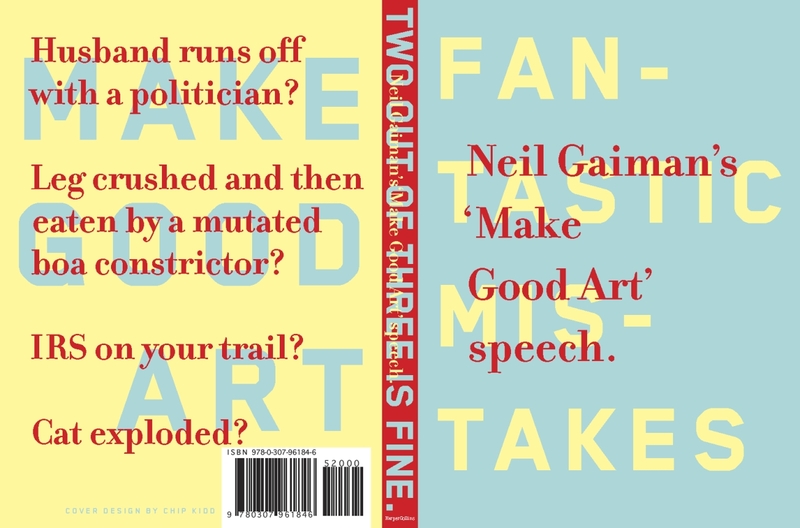 This is available in three versions - plain, lined and lined with icons. 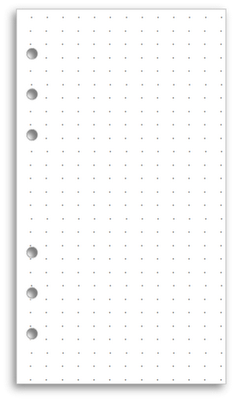 The icons provide a quick way to record your mood and the prevailing weather. If you use a bound notebook rather than a loose-leaf system it can be tricky to locate a particular note just when you need it. 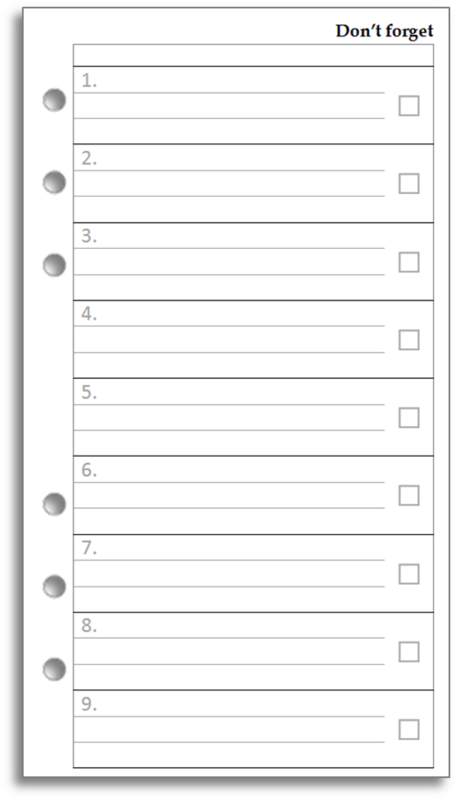 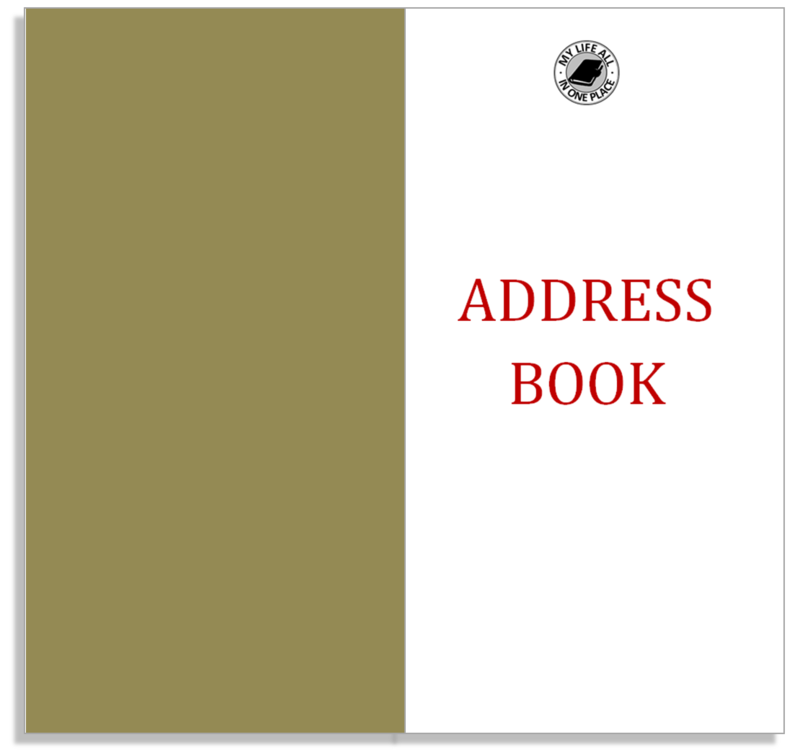 Your notes are likely to have been accumulated in a chronological order and unless you maintain multiple notebooks the information won't be organised to make retrieving it always a simple matter. 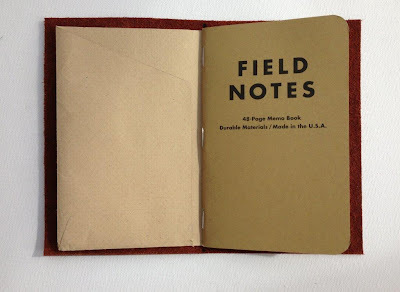 This is a really practical way to get the advantages of a bound notebook and still be able to find specific content quickly when you need to. 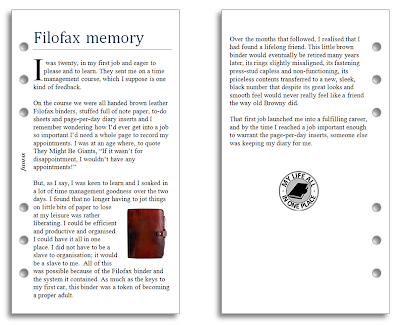 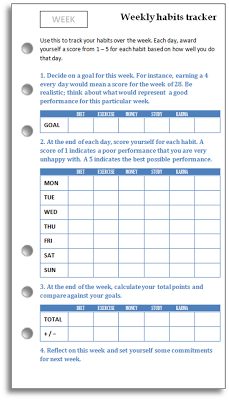 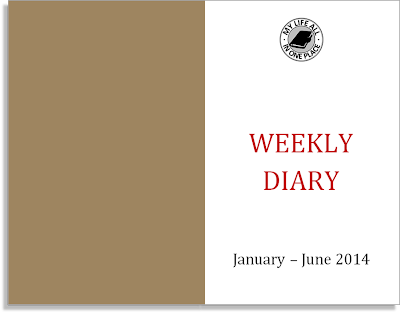 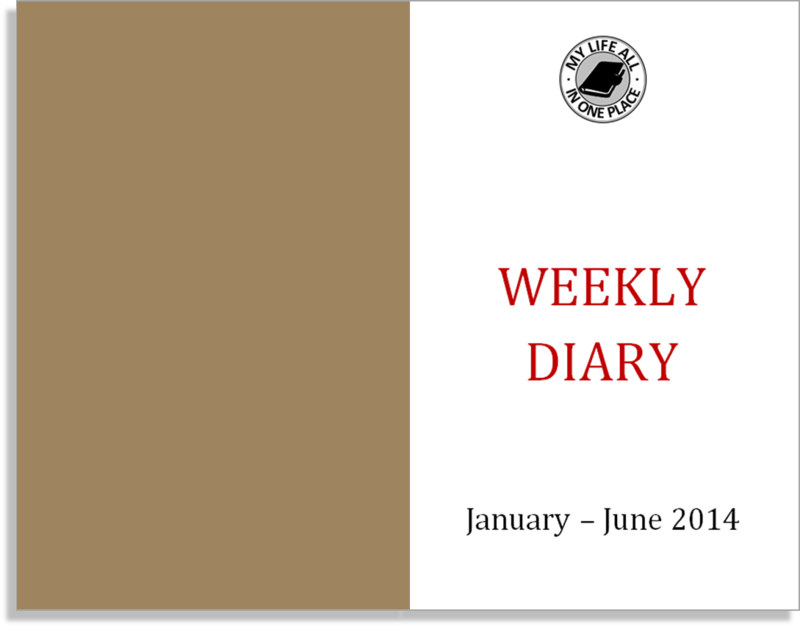 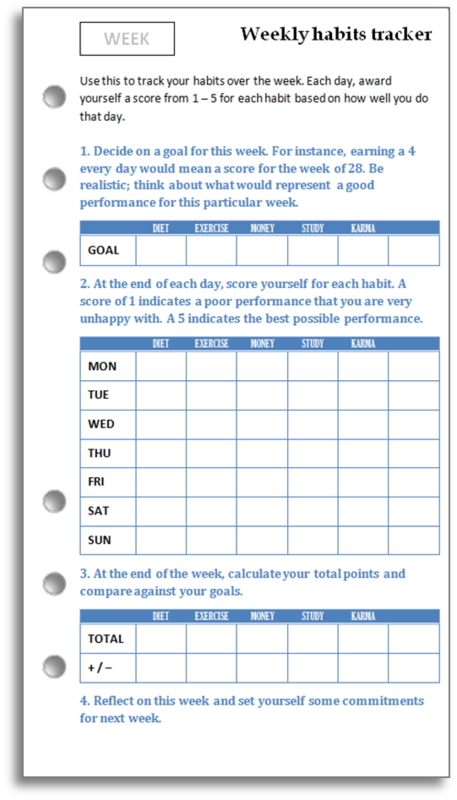 If you're a regular reader you'll know that I've made available for download a number of different diaries for the Midori Traveler's Notebook in both sizes. 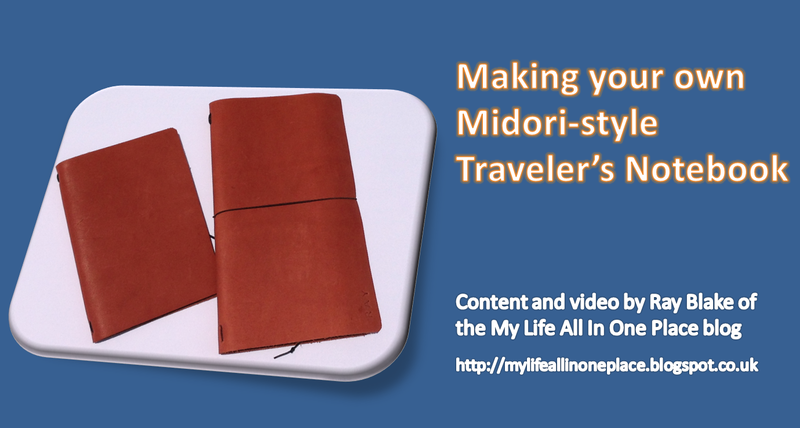 I've also shown you how to make your own Traveler's Notebook from scratch, which means you need not be confined solely to Midori's two sizes. 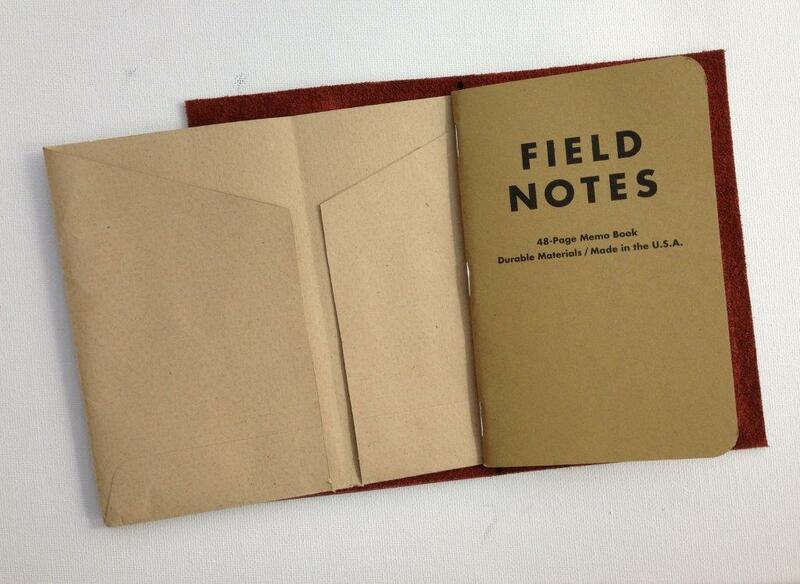 I have made my own in a size that accepts Field Notes and Moleskine Cahier notebooks. 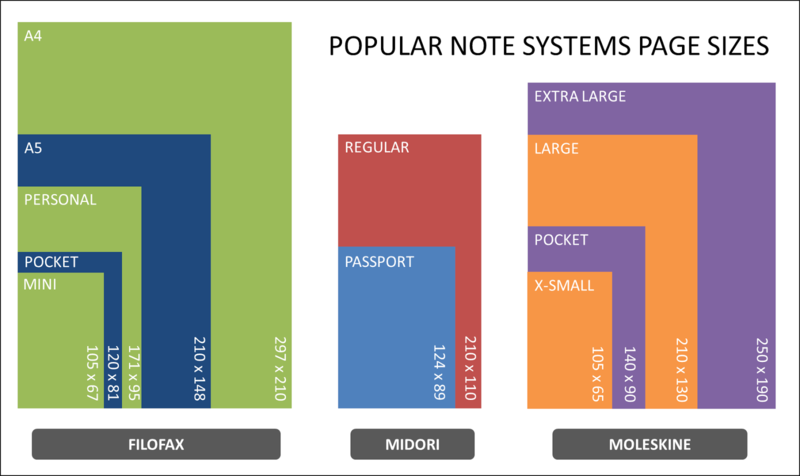 For me, this is a more practical size than Midori's Passport format. 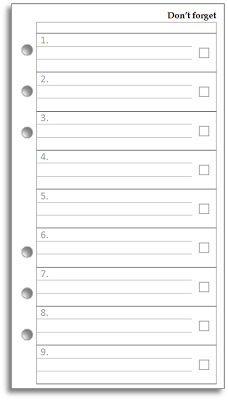 Download your choice of file from the list below.